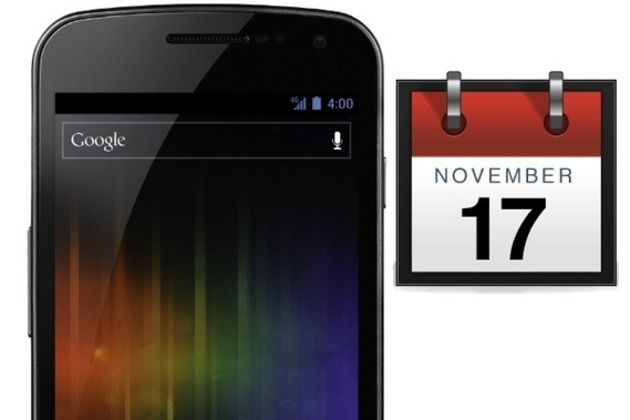 Samsung had already said the Galaxy Nexus would go on sale in the UK on November 17th, but there's been a little confusion since then with shifting dates on retailer sites. Operator O2 put that to rest on Friday, though, with a brief message on its Google+ account that "we'll be on sale on the 17th." It's still not clear exactly when Verizon will follow suit in the US — but at any rate, someone is going to have these this week, and the world will be a little less devoid of Android 4.0 because of it.